Today I am sharing this recipe for those people who are trying hard to lose weight. 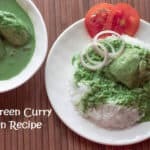 This Curried Chicken Recipe Easy to make AT HOME, even healthy and anyone can make this recipe. You can add this recipe to your diet list as a healthy recipe. Even you can add this recipe to your KETOGENIC DIET. Nowadays we are always looking for oil-free recipes in search engines. Even sometimes I also find this kind of healthy recipes. But the truth is most of the times I disappointed with the after cooking tastes of the dish. Always when I tried so many dishes from search engines. But most of them are not taste as good as it looks like most of the recipes we find on the website are cooked with stored bottled sauces. which I believe those recipes are not healthy at all through all the cook claimed that the recipe is healthy for every diet. I do not cook an oil-free chicken recipe at my home for every day but only when I feel to eat something healthy, I always make this dish. This is my own invented recipe. I like the recipe very much and the best part is making this dish so quickly without a drop of oil. 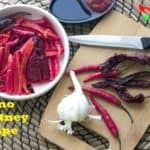 Because of this, I decided to share this with you, so that If you are looking for any oil-free healthy recipe you can find this and cook for your family. 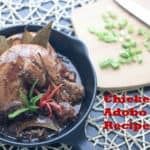 Which recipe do I follow to make this curried chicken recipe easy? I followed my mom’s less oil chicken stew recipe for the winter season. This is one of the best recipes which I like among the most prepared dishes by my mother. One day I will share that chicken stew recipe also with you all. That’s a very tasty lite chicken stew recipe. Today’s recipe I made in yellow gravy so that it looks more tempting. But if you want to get a red color then you can use sweet red chili powder to get the red color. There is no particular instruction to how the curry color should be. It totally up to you. I just used four aromatic Indian spice to this curry to taste good. And served the dish with my roasted ground oats- whole wheat flatbread or roti. It is the less gluten bread option for this curry. 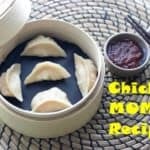 I believe if you try this recipe in your kitchen at least once you will be impressed by its taste and will make it many times. 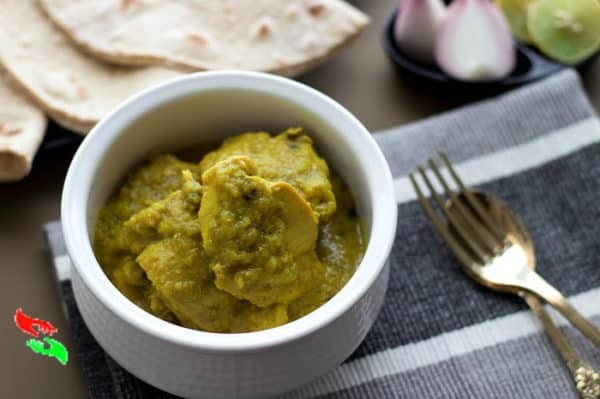 Sharing a curried chicken recipe easy without any oil. This is the best for weight loss diet. It is a quick recipe for weight loss. The making process of this recipe is so simple. At first, blended take a blender jar put all the ingredient and sices into it except chicken consistency and bay paste-like. Blend all the ingredients with the help of some water. Once all the ingredients turn into a paste-like consistency off the blender and pour all the blended things into a mixing bowl. Now mix all the chicken pieces, bay leaves with the blended mixture. Mix well and marinate the chicken for at least half an hour in the refrigerator. After half hour put all the chicken pieces along with the marinated gravy into a frying pan. Put the frying pan on a medium to low heat flame and cover the pan with a lid and cook the chicken for 15 minutes. In between always add little water into the pan mix with the chicken pieces mixes help of a spatula. After 15 to 20 minutes when the raw smell of spices will go and chicken will be cooked properly. Serve the dish with your choice of healthy bred or Rice option.